The Soviet Union's early interest and competitiveness in the space race is something today's space exploration enthusiasts, private companies and organizations can learn from, says a Purdue University historian. "The Soviet Union's intense rivalry with the United States was one reason the Soviets won the race to space with Sputnik," says Michael G. Smith, an associate professor of history. "In the 1920s and '30s, they watched and learned from the United States, while we were blind to their achievements. The United States was really not competing with them until the shock of Sputnik reached America. There is a lesson there for the present. No one power could ever have gotten into space alone; competition is what made it happen. Today, America is poised with private companies to reach a new series of achievements in space tourism and space exploration, and it will be interesting to see what sparks the competition." 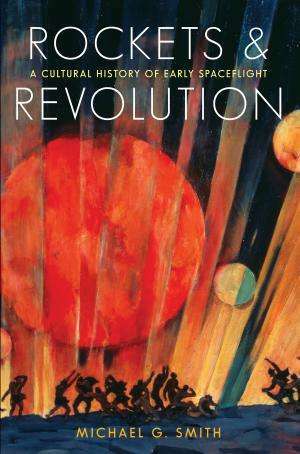 Smith is author of "Rockets and Revolution: A Cultural History of Early Spaceflight," which was published by University of Nebraska Press this month. In the book, he chronicles the early pioneering days of space exploration from 1903-1953. In 1935 the United States won the race to the stratosphere by using high-altitude balloons. "Few Americans know about it, but the United States won that race with Explorer II, reaching more than 70,000 feet, or about 14 miles, high. No one had ever flown that high before," Smith says. "This was the prelude to the space race, but then World War II intervened and Americans forgot about the 1930s." An unmanned rocket exploded. So what?